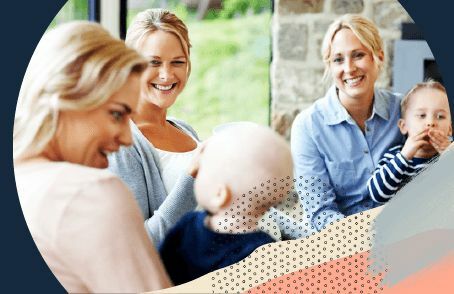 In this Vaporisers and Humidifiers comparison, you can find out what the Tell Me Baby community thinks are the top Humidifiers and Vaporisers on the market. 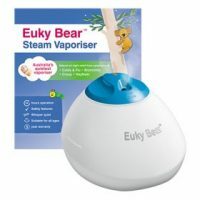 Euky Bear Euky Bear Steam Vaporiser $72.95 4.5 38 "This was the best thing I think I could of bought when my children were sick. 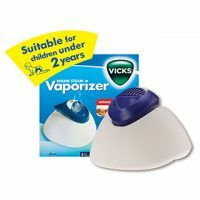 Especially when they were very conjested and couldn't breathe, it made so much of a difference..."
Vicks Vicks Warm Steam Vaporizer $69 4.3 28 "The refreshing aroma in the room cleared my little one's nose and she has been sleeping better. It's a great investment." What do Humidifier and Vaporisers Do? Both vaporisers and humidifiers add moisture into the air, increasing the indoor humidity of your home. According to the National Asthma Council Australia the optimal indoor humidity is between 30-60%. Dry air, or low humidity, can increase the chance of catching airborne viruses, can irritate nasal passages and airways, and can also exacerbate eczema. On the other hand when the air is too moist is can contribute to mould in the home and provides optimal condition for dust mite to grow. So it’s important to find the right balance of humidity. There are actually “Hygrometers” which can measure the indoor humidity of your home that can make finding that balance a little easier! How are humidifiers and vaporisers different? Essentially humidifiers are cold and vaporisers are hot. Humidifiers generally spray fine, cool, mist to increase the moisture in the air. Whereas Vaporisers boil small amounts of water over a hot element to create hot steam. Humidifiers are cold so there is no risk of burns. They may be more suitable for warmer weather as you’re not adding any heat into the air. Also they don’t have to warm up, so they start working the moment you switch them on. Though one downside is humidifiers need to be cleaned thoroughly and often, because they are more prone to contamination in the water and might contribute mould and bacteria to the air. Vaporisers work by boiling water to create steam, so the moisture they add to the air is going to be more or less sterile. Though you do still need to clean a vapouriser regularly. Also still be aware that increasing moisture in the air can still contribute to mould growth. But this also means that vaporisers come with the risk of burns. They need to be kept well out of reach of children, but there is still a risk you could accidentally burn yourself while using them. There are a huge range of humidifiers and vaporisers available and they do offer some other features. Such as the option to disperse essential oils or products like Vicks and Euky Bear that might help your baby breathe easier when they have a cough or cold. Some have timers so you can set them to turn off after a period of time. There are also humidifiers and vaporisers that double as a night light for your little one. So there are lots of other factors to consider when working out which humidifier or vaporiser is right for your family.